As the groundswell of concern about the Budget’s impact on young people continues to rise we make no apologies for linking to two pieces by writers immersed in the youth scene. It seems that as a country we are only interested in young people if we can turn them into something they are not – essentially small, polite adults. We want them to be good citizens and we want to build their character (as long as we can do both those things in a short term programme) but we don’t want to hear any demands as a result. We still don’t trust them to vote and we obviously don’t think they can handle money as we make sure they don’t have any to practice with. I don’t know much about other countries, but I’m pretty sure that England takes a particularly dim view of its youth. 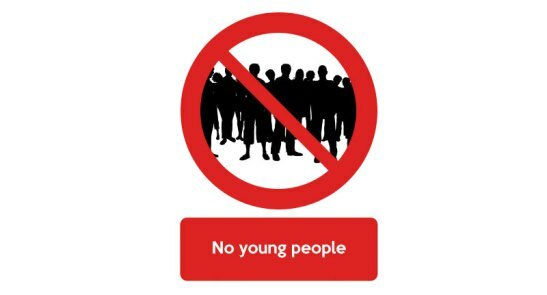 European colleagues are shocked when they learn about the youth policy vacuum in England, and how young people are simply not trusted or regarded as important to the future of the nation. I don’t know how we got here, but I do think that change needs to happen at a fundamental philosophical level to have any lasting effect. It is interesting to see how perceptions of young people shifted in Scotland when they were allowed to vote in the referendum – suddenly the media wanted to know what they thought, and seemed surprised to find that they were really quite articulate and clear-thinking. We’ve missed an opportunity for that to happen in England as Parliament confirmed the national prejudice by voting not to allow young people to vote in the EU referendum. But something must change and the youth sector can play a role by highlighting the bigger problem and seeking solutions – hopefully solutions that start by involving young people! …. a big stick is coming – Osborne terms this a ‘youth obligation’ – as young people will be subject to an “intensive regime of support from day one” of their benefit claim. After six months they will be expected to apply for an apprenticeship or traineeship, gain work-based skills, or go on a mandatory work placement, otherwise they will lose their benefits. For youth scholars this refrain is wearily familiar – that it looks like coming to fruition is nothing short of appalling. Workfare makes little sense as I noted in a previous blog – we’re taking punitive action against young people for a structural issue. We’re blaming them for their unemployment when the world of work is becoming increasingly hostile to the presence of young people. We’re turning what is a public issue into a private trouble and then making a public spectacle of it by forcing them to labour for ‘benefits’. Back in March I wrote an article for the Scottish Left Project stating that due to the coming changes in social security for young people, it was time to ‘get angry’. Little did I know the full extent of what was coming. The budget is nothing short of a whirlwind for young people – particularly and especially for young people from poorer backgrounds. It is an ugly budget and a deeply regressive budget. What message does it send to young people? For me, it sends the message that their value to society is less than their older contemporaries, that their suffering is lesser, that they cannot be trusted to take their place in society and therefore require the discipline of the state to ensure their participation. I hope that out of this dreadful moment a light is finally being shone on the requirements of this group of young people. It’s been needed for some time. Heading into Summer is not a great time to be calling for a major conference of the youth sector to pick up the gauntlet thrown down by the neo-liberal fanatics in government. Nevertheless IDYW will be putting out feelers as to whether there is the imagination and the will to bring such a gathering together. I totally agree with these two articles young people are being robbed of vital services is(youth services) sometimes the only service that they will turn to in times of need!